New streaming boxes, smart TVs, and antenna tools arrived in force at the tech industry's biggest gathering of the year. For a trade show that tends to favor spectacle over substance, CES was surprisingly fruitful for cord cutters this year. We saw lots of promising new streaming boxes, smart TVs, and super-charged antenna tools, all of which will make dropping cable and satellite TV easier in 2017. Forget all the drones, virtual reality headsets, and robots on display; here are the CES products that will pay for themselves in relatively short order. AirTV is a new electronics brand from Dish Network. 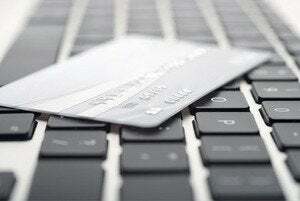 Its purpose is to bridge the gap between online and traditional TV. Its first product, the AirTV Player, combines Sling TV, Netflix recommendations, and antenna-based channels into a single guide view. It also strives for remote control minimalism with built-in TV volume and power controls. The AirTV Player is available now for $100—or $130 bundled with a USB antenna tuner—and comes with a $50 Sling TV credit for both new and existing subscribers. 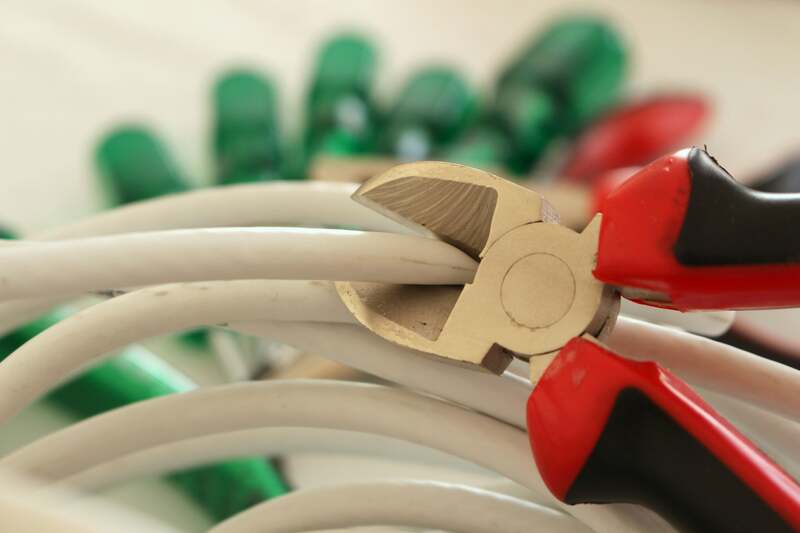 Don't want to clutter up your living room with an antenna? Mohu's AirWave antenna could do the trick. Install it anywhere in the house, and you can stream live video to other devices including iPhones, iPads, Android devices, Apple TV, Roku, and Amazon Fire TV. The antenna itself should have at least a 50-mile range, and the tuner can evaluate the signal to optimize the antenna's reception. The AirWave is launching in late spring at Best Buy for $150. For those who want to combine over-the-air DVR with a do-it-all streaming box, Tablo's upcoming Droid DVR app could do the trick. 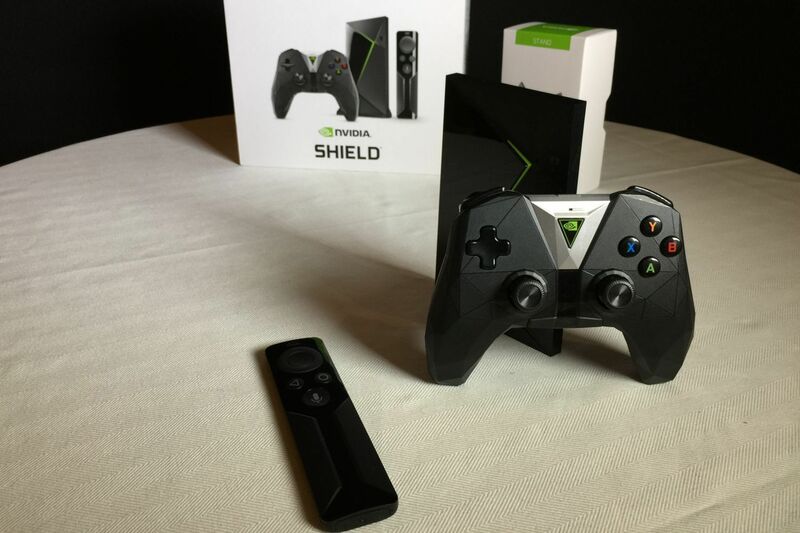 Plug an antenna and USB tuner into supported Android TV devices (starting with the Nvidia Shield), and you can watch and record free broadcast channels straight from your television. The DVR service will cost $4 per month, or $40 per year, when it launches in Q2. 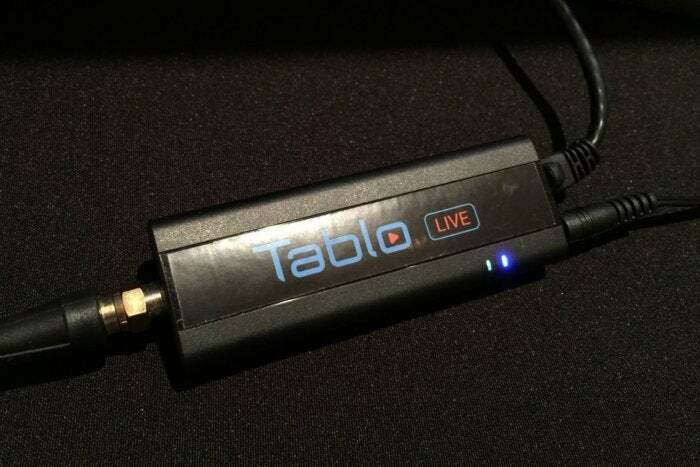 Much like the upcoming Mohu AirWave, Tablo Live is a networked TV tuner for streaming broadcast channels to other devices around the house, but its lack of a built-in antenna could reduce the up-front cost if you have one sitting around already. More importantly, Tablo is working on a cloud DVR service for the tuner, so users can store shows online instead of having to manage recordings on a local hard drive. The Live tuner will launch in Q2 for $99. The DVR service should arrive around the same time, with pricing TBA. 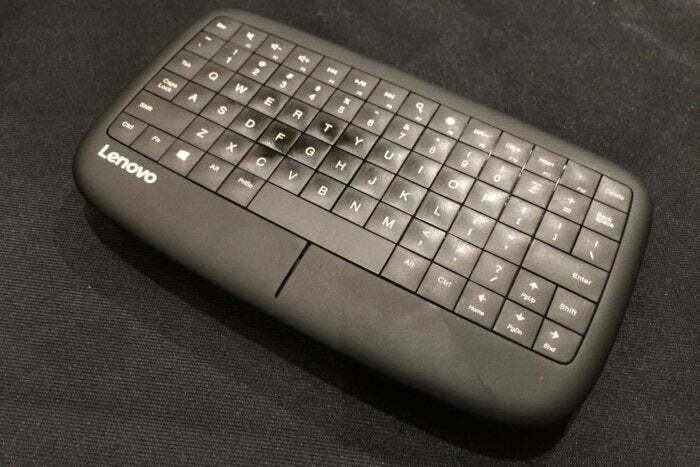 Lenovo's clever new handheld keyboard could be the ideal remote for home theater PC users. The trackpad is built into the keyboard, so you can glide your fingers over the keys to move the on-screen cursor. 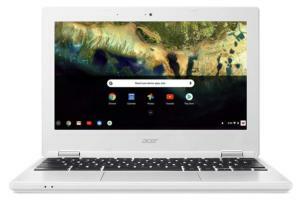 It even supports multi-touch gestures, such as two-finger scrolling and three-finger swipes to switch windows, and it includes DPI adjustment shortcuts for shrinking and magnifying text on the fly. Look for the Lenovo 500 Multimedia Controller in April for $55. 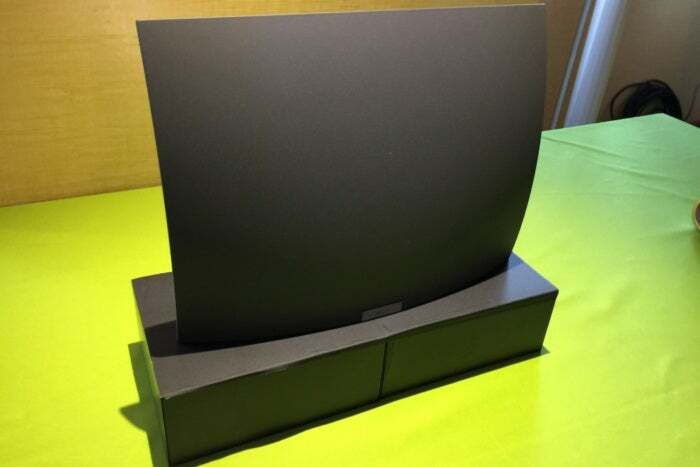 Speaking of home theater PCs, a new company called HomeBase is looking to offer one on the cheap this year. 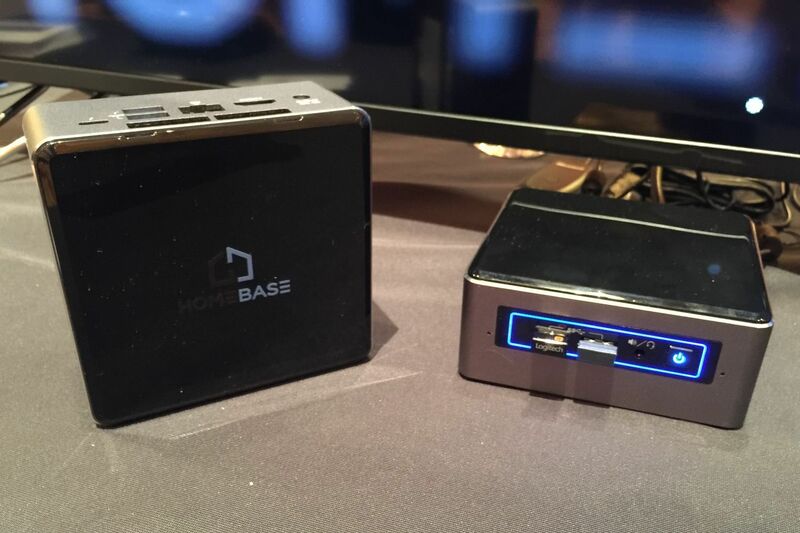 The $399 HomeBase Hub is a miniature computer built on Intel's NUC kit, with Windows 10, a 6th-generation quad-core Celeron processor, 2 GB of RAM, and a 2 TB hard drive, while a $799 version will have a Core-i7 processor, 8 GB of RAM, 128 GB solid state drive and 2 TB hard drive. Both versions include a one-year Plex Pass subscription, and buyers can add an HDHomeRun Connect networked tuner during check-out, making the whole thing capable of recording free over-the-air channels. The Hub is up for pre-order now and will ship in March. 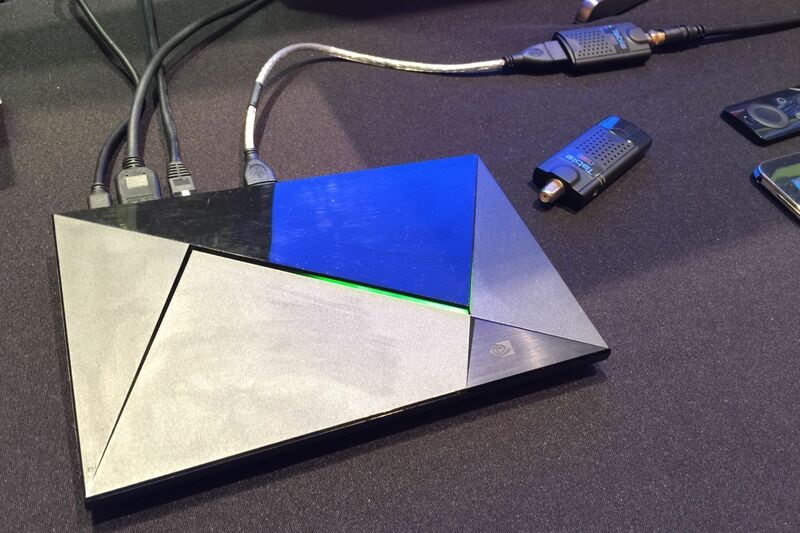 Although the new Nvidia Shield TV streaming box has the same tech specs as its predecessor, it's a much more attractive package this time around. 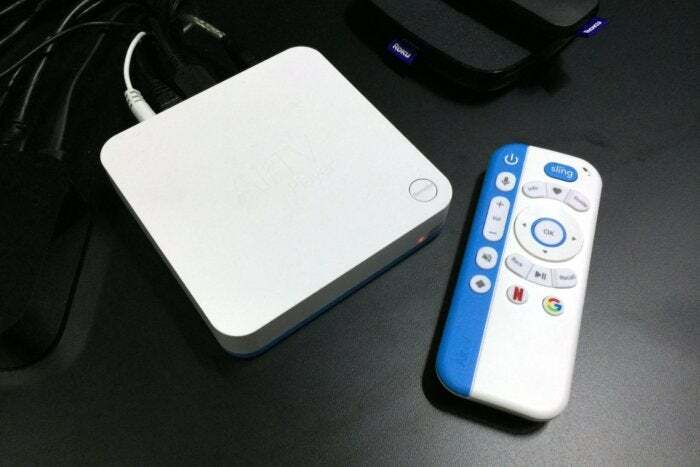 The box is 40-percent smaller, a remote control is included, and the game controller supports hands-free voice commands with Google Assistant. Nvidia has also simplified its home screen—no more Netflix in a separate row from other apps—and will finally support Amazon Video. The new Shield is launching this month for $199, but existing users shouldn't fret; you'll get all the same software improvements with a free update, and you can purchase the new controller for hands-free voice controls. 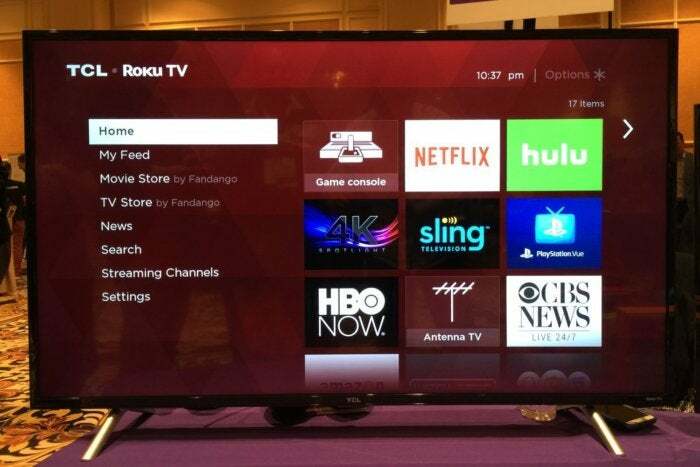 Roku's smart TV software used to be relegated to smaller, cheaper televisions, but that's about to change. Starting this spring, TCL will release a slew of Roku 4K TVs with Dolby Vision HDR, including a 50-inch model for just $500. HiSense, meanwhile, is going big with a 75-inch Roku television—the largest Roku TV yet—with 4K and Dolby Vision. It will be priced at $2000. 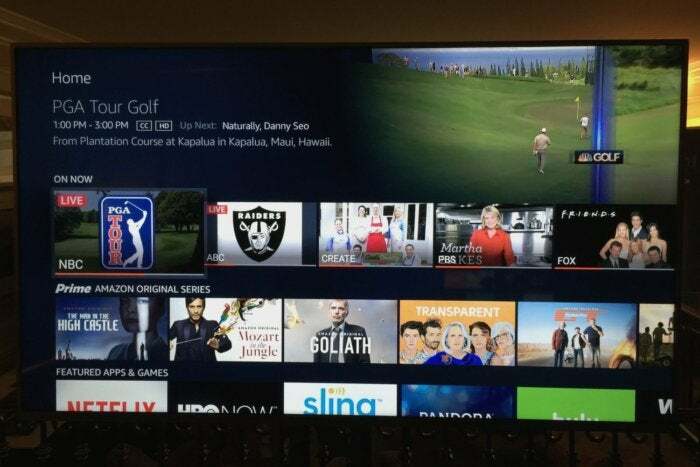 Amazon is joining the TV operating system wars this year, starting with a handful of 4K sets from Seiki, Westinghouse, and Element. These "Fire TV Edition" televisions have all the same features as Amazon's Fire TV box and stick, and sport slick integration with over-the-air antennas. Users can time-shift live TV, launch live channels through Alexa, browse those channels from the home screen, and open a traditional grid-based channel guide. The new TVs are coming later this year, but there's no word on pricing yet. 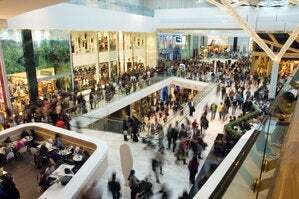 Universal Electronics supplies remote-control tech to companies such as Dish Network and Comcast. This year, it was showing off some ideas for what the future of remote controls could be. 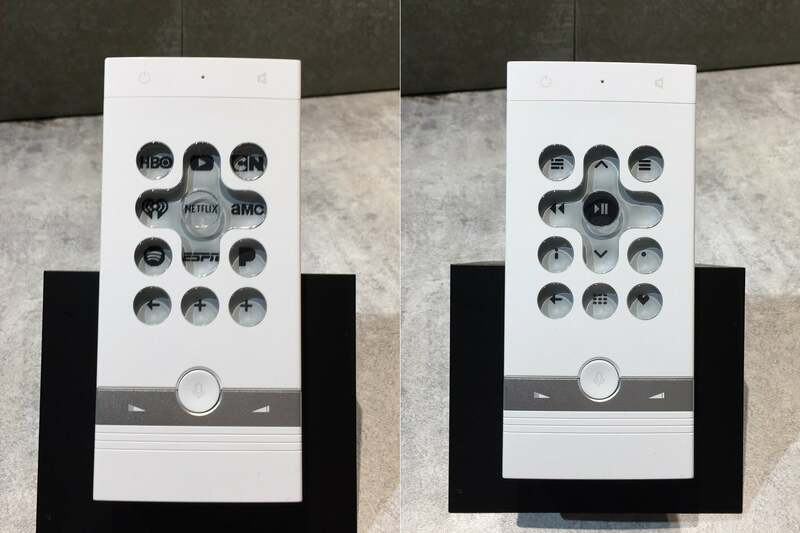 The most compelling example included a low-power E-Ink display behind each button, allowing those buttons to change based on what the user is doing. Imagine a remote that let users customize their own app shortcuts, or that conjured a "last channel" button for live TV apps like Sling TV. While the concept won't become reality anytime soon, we’re hoping its appearance at CES put some ideas in motion.